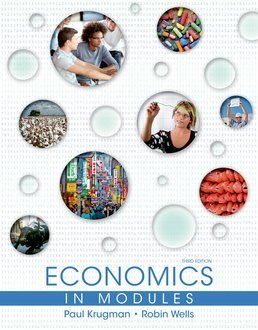 Including the hallmark features of all Krugman/Wells texts, Economics in Modules is organized in a student-friendly format that helps you retain more economics. This accessible and modular format showcases the author's storytelling approach, engaging writing, fascinating examples, and case studies. 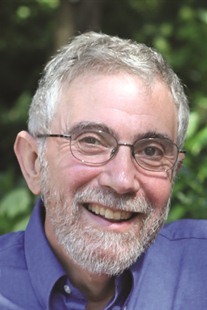 Paul Krugman, recipient of the 2008 Nobel Memorial Prize in Economic Sciences, taught at Princeton University for 14 years. In 2015, he joined the faculty of the Graduate Center of the City University of New York, associated with the Luxembourg Income Study, which tracks and analyzes income inequality around the world. He received his BA from Yale and his PhD from MIT. Before Princeton, he taught at Yale, Stanford, and MIT. He also spent a year on the staff of the Council of Economic Advisers in 1982–1983. 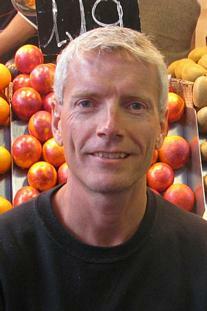 His research has included trailblazing work on international trade, economic geography, and currency crises. In 1991, Krugman received the American Economic Association’s John Bates Clark medal. In addition to his teaching and academic research, Krugman writes extensively for nontechnical audiences. He is a regular op-ed columnist for the New York Times. His best-selling trade books include End This Depression Now!, The Return of Depression Economics and the Crisis of 2008, a history of recent economic troubles and their implications for economic policy, and The Conscience of a Liberal, a study of the political economy of economic inequality and its relationship with political polarization from the Gilded Age to the present. His earlier books, Peddling Prosperity and The Age of Diminished Expectations, have become modern classics. Robin Wells was a lecturer and researcher in Economics at Princeton University, where she has taught undergraduate courses. She received her BA from the University of Chicago and her PhD from the University of California, Berkeley; she then did her postdoctoral work at MIT. 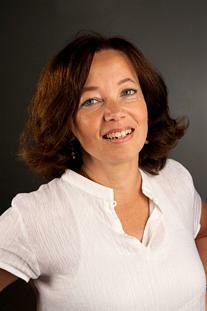 She has taught at the University of Michigan, the University of Southhampton (United Kingdom), Stanford, and MIT. Margaret Ray is Professor of Economics and Director of the Center for Economic Education at the University of Mary Washington, where she specializes in teaching introductory economics. She received her BS in Economics from Oklahoma State University and her PhD in Economics from the University of Tennessee. 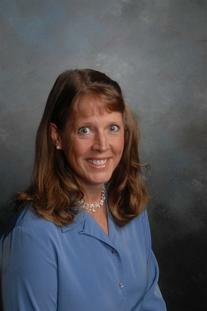 In 2012 she received her MEd in Curriculum and Instruction and became certified to teach K-12 Social Studies. She has taught AP® Economics courses at several high schools in Virginia and has received the Council on Economic Education’s Excellence in Teaching Economics award. She has been involved in the AP® Economics program since 1992, serving as a reader and question leader, writing test items, overseeing the AP® course audit, writing College Board “Special Focus” articles, and editing the Council on Economic Education’s AP® Macroeconomics resource. She has been a College Board® Endorsed Consultant for economics since 2001, and she conducts several professional development workshops and institutes each year. Her favorite hobby is showing hunter-jumper horses adopted from racehorse rescue organizations. She lives on a farm in Spotsylvania, Virginia, with her two daughters.